Plant a garden of style with the SRT Tulip all over her feet! ; Colorful leather upper features irresistible strap design. ; Hook-and-loop closure for easy on and off. 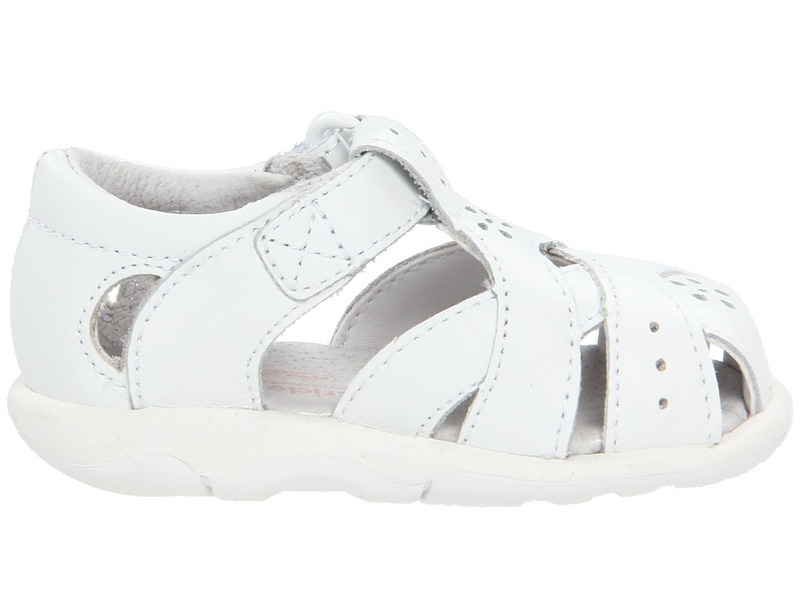 ; Breathable leather lining and cushioned insole for support. ; Durable rubber outsole. ; Sensory Response Technology&#8482; helps mimic barefoot walking by having sensory pods on the outsole to help kids feel the ground. Measurements: ; Weight: 2 oz ; Product measurements were taken using size 3 Infant, width M. Please note that measurements may vary by size. 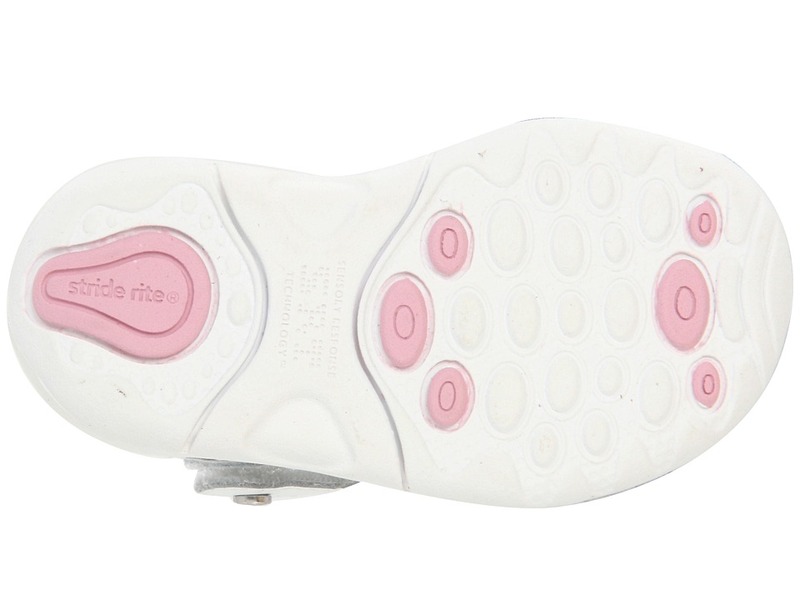 Be the first to review “Stride Rite SRT Tulip Infant Toddle Girls Shoes” Click here to cancel reply.